Lance Whalen – a former Lexingtonian who now resides in Nashville – made a short-notice stop by WRFL-Live this week, bringing with him a few guitars and a banjo for an acoustic set. The recordings on Sweet Sugar Pie find these songs with a much more filled out sound than his live set, lending an even greater amount of intensity to his music. Lance said himself, that people have said his songs have a certain swampy sound, often bordering into the sinister – they remind me a lot of Howlin’ Wolf’s voice and Tom Waits’s atmosphere. The album’s first track, “What The Hell Was I Thinking?” gets things rolling along with a nice backbeat and grooving bassline. The double-tracked vocals on “Best I Am” go out of sync at times, but the result is a darker mood, and the ending lyrics, “I am not your Jesus, baby I am just your man, and I will do the very best I can,” sum the song up perfectly. The title track is the lightest of the album, and probably the most accessible too – accompanied at first only by guitar, the chorus hits with a beautiful weight and rich textures of slide guitar, flute, and bass that carry the gorgeous song for its remainder. The album’s final track puts Whalen’s voice on display, much like the rest of the EP, and serves as a great close. 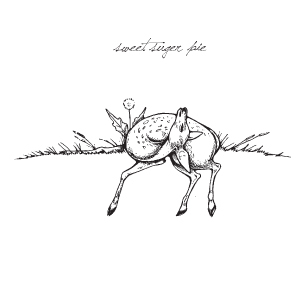 Sweet Sugar Pie is a solid EP, collecting songs that shows off his ragged voice, spooky songwriting, and knack for atmosphere – if you’re a fan of blues, Lance Whalen is one worth checking out. Tracks I Liked: What The Hell Was I Thinking? !, Best I Am! !, Sweet Sugar Pie!! !, The Way You Love Me! Learn more about Lance Whalen.